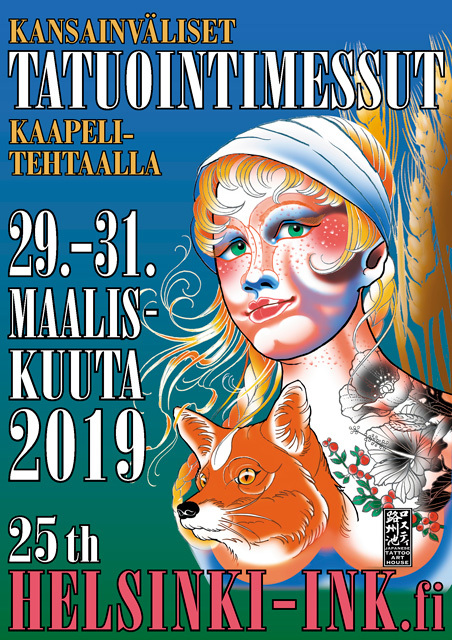 Helsinki INK. Helsinki, Finland. March 29-31, 2019. Been a few years since I’ve been, really looking forward to getting back. Still have a day available. If you’re interested you can write me here or to viptattoomail@yahoo.com.